The pilot escaped by ejection. 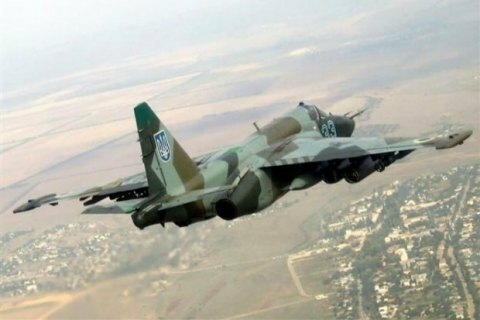 In Starokostyantyniv, Khmelnytskyy Region the Su-25 jet aircraft of the Ukrainian Armed Forces caught fire on the runway during a planned flight on 14 July. The pilot ejected. The Defence Ministry in a statement described the pilot's health as satisfactory. A commission has been formed to investigate the incident. SU-25 is a single-seat, twin-engine jet aircraft developed in the Soviet Union.